Robin Mooney | The Secretan Center, Inc.
Robin has 15 years of experience as a high performing Sales Executive in the Office Furniture Industry, with her most recent post at Herman Miller. 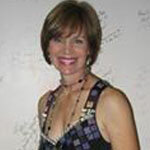 In addition to her role as Consultative Sales Professional, Robin has led numerous teams around the World of Work – the trends affecting businesses world-wide, including globalization, attraction and retention, generations at work, change communication and creating work environments as a business tool. Her passion for inspirational transformation in the workplace led her training and certification in Higher Ground leadership including the CASTLE® Principles, 5 Dynamics, and ONE Dream®. Understanding the key business drivers of effectiveness, productivity and profitability, Robin connects the shift of learning one’s 5 Dynamics Profiles, team relationships and living the CASTLE® Principles in our day-to-day work with clients. It is this connection that can make dramatic impacts on these and other business drivers. Her entrepreneurial and corporate experience has provided deep insight into the hearts and souls of individuals, teams and communities that make up organizations of every size and scope. Robin’s mastery is using her relationship building skills to create a foundation for trust and permission space with teams and to engage them in respectful and authentic communication with each other. This foundation allows them the ability to begin creating inspirational and highly effective teams and loyal customers while living and passing on the torch of the CASTLE Principals.